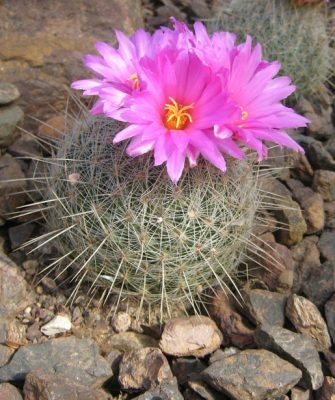 Generally, cacti are flowering plants. That means that every cactus will bloom at some point in their life. For most species, blooming starts when they reach maturity. That can take from few to even 55 years. Some species won’t bloom even when mature unless they have perfect light and water conditions, or even fertilization. This is especially true for potted cacti. Cacti are usually grown in containers. Those plants can survive in almost any USDA zone if potted. That gives an opportunity to place them in perfect conditions and take proper care for them through all seasons. 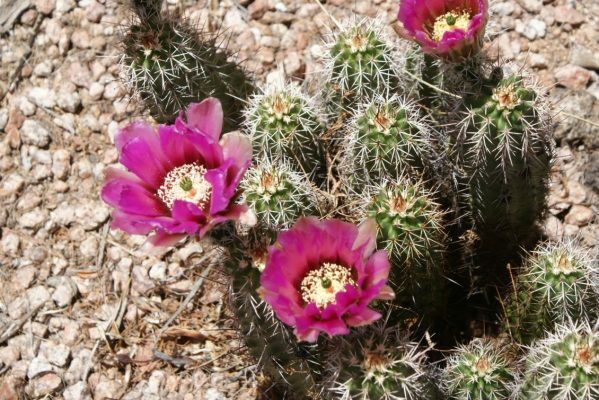 Most cacti need sunlight to stay healthy, so make sure your plants get at least four hours of morning sunlight a day. This way they won’t get sunburned from the direct light. Almost all of the cacti species doesn’t need that much water, but that also doesn’t mean they should be neglected. Water your cacti regularly during their growing season, which is mostly late spring to the early fall. To make sure you don’t overwater them, allow the top inch or two of soil to dry before next watering. Then give them just enough water until it starts coming out of the drainage holes. You shouldn’t let water remain in pot saucers. The best soil combination for cacti is a well-drained soilless potting mix. Since cacti need some fertilization in order to produce flowers, you should use some half-strength low-nitrogen high-phosphorus formula to fertilize them monthly during their growing period. 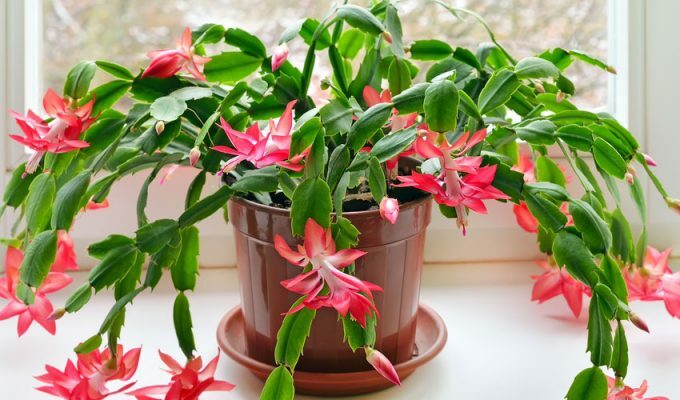 Make sure you cut on water and fertilization during the winter and place your cacti somewhere with the temperature not lower than 50°F/10°C. If you provide these conditions to your cacti, you’ll be rewarded with some of the most beautiful flowers that exist. Every cactus blooms different flowers, and the range of colors and shapes is almost endless. Here are some specific genres and blooming habits. If you grow some tall-growing columnar cacti from seed, it’ll often take them years before they bloom for the first time. 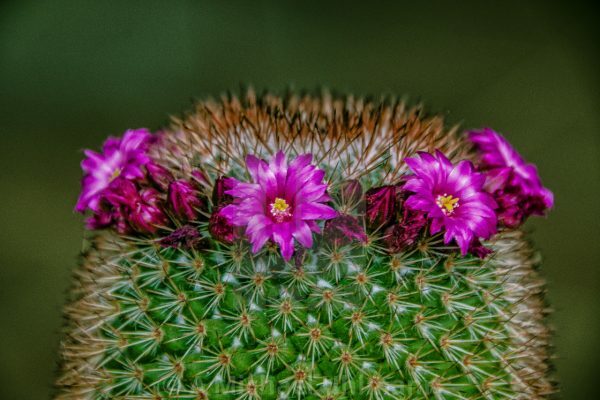 In the other hand, if you root a branch from a mature plant that is already blooming, columnar cactus will keep blooming after it is separated from the mother plant and rooted. Some cacti have branches that won’t root, so they have to be grown for seeds, which means 40 to 55 years of waiting for the first flower. Saguaro (Carnegiea gigantea), native to Arizona, is that kind of cactus. 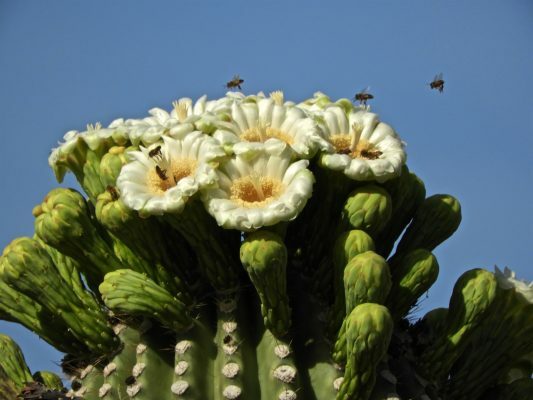 Other species of columnar cacti produce first flowers after 10 to 20 years, like Peruvian Apple (Cereus repandus) with blue stems and large white night-blooming flowers. Mexican Fence Post (Pachycereus marginatus) has bright green stems with white-defined stem ridges and smaller white flowers. Senita Cactus (Pachycereus schottii) is a cactus with gray-green stems and small pink flowers that bloom amid an area of dense shaggy spines. However, columnar cacti are a great choice for landscaping, blooming or not. Short-columnar cacti with stems below 2 feet (60 cm) tall will usually reach maturity and start to bloom within five years from germination. Hedgehog Cacti (Echinocereus spp. ), native to US and Mexico, make mounding clumps of many stems over time and blooms in summer with large pink or red flowers. Easter Lily Cactus (Echinopsis oxygona) produce big funnel-shaped flowers in white, pink, lavender, or red. Peanut Cactus (Echinopsis chamaecereus) is a cactus that produces large flowers to its size. With stems up to 6 inches (15 cm) long and covered with weak white spines, Peanut Cactus crawl along the ground blooms in spring, producing abundant bright orange flowers over 1 inch (2.5 cm) wide. Round cacti are some of the most floriferous cacti out there. They can usually bloom within three or four years after sprouting. Pincushion Cacti (Mammillaria spp.) are native to US and Mexico. They bloom star-shaped flowers in a ring around the top of the stem. This cacti best grow outdoors. They are round when young, but some can elongate to small columns through the years. Flowers are white, pink, lavender, red, yellow or green. Rebutias are native to South America. This tidy low-growing cactus cluster with age and red, yellow, orange or purple flowers come from near the base of the stem. These cacti look so different than desert cacti that most of the people have a hard time believing they’re cacti at all. Their looks come from the fact that there are native to Brazilian rain forest trees of epiphytes and have flattened, green, leaf-looking stems. Most known cacti from this group are Thanksgiving Cactus (Schlumbergera truncata) and Christmas Cactus (Schlumbergera bridgesii). Holiday cacti have different needs than desert cacti. They’re blooming in fall and winter, with lowe temperatures. These cacti need long nights and shorter days to start producing flowers, ideally only 8 to 10 hours of light. Most of the year they prefer partial shade. In the fall and winter, you can put them somewhere with full sunlight. This entry was posted in Cacti, Care tips. Bookmark the permalink.